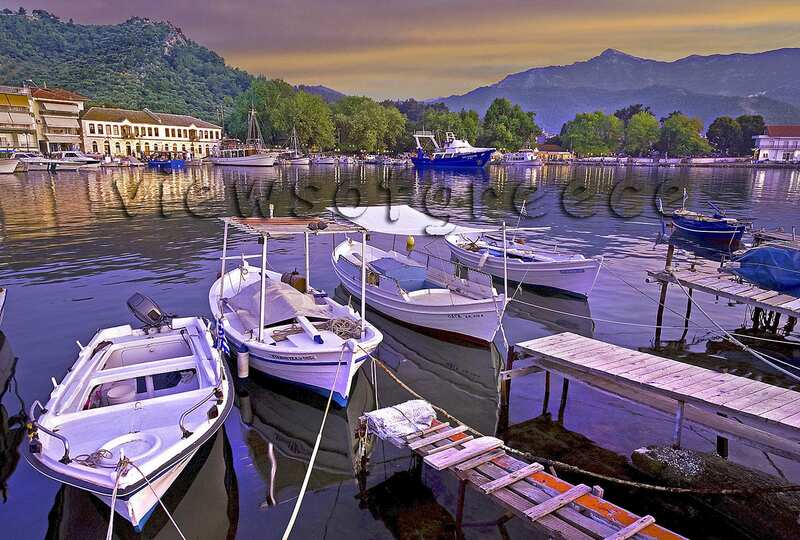 The ships from Kavala and Keramoti, dock at Limenas, the island’s capital. As tourism grew, the small fishing village was hastily expanded around the seafront. Tasteless buildings started to overshadow the charming Macedonian mansions, and cement to spread over the traditional stone and wood building materials. Nowadays visitors can get a clear picture of the authentic village just looking at the old port with colourful fishing boats, giant plane trees, fish taverns and well preserved old buildings. Even though human traces from Neolithic times have been tracked down, the Thracians and later the Parians were the first historically recorded residents of the island. 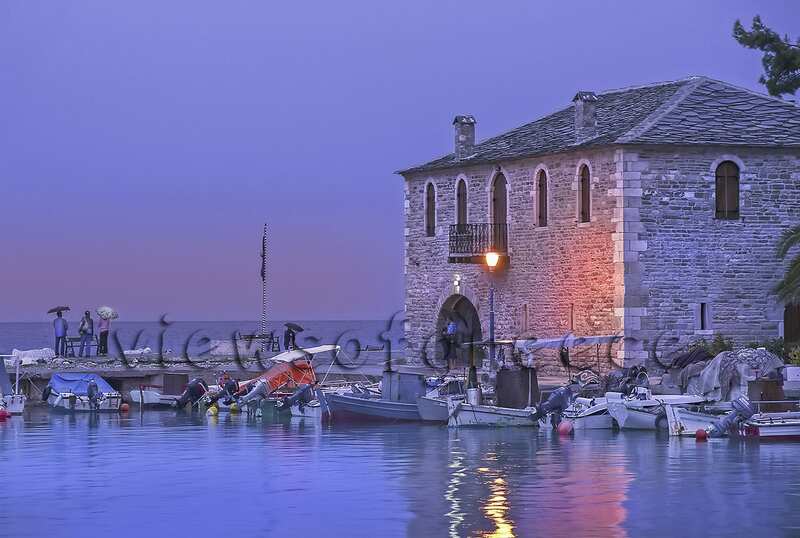 The ancient city of Thasos was located in the wider region now covered by Limenas town. The control of the sea routes, and the exploitation of a subsoil rich in gold, silver and marbles, brought wealth and prosperity to the city. 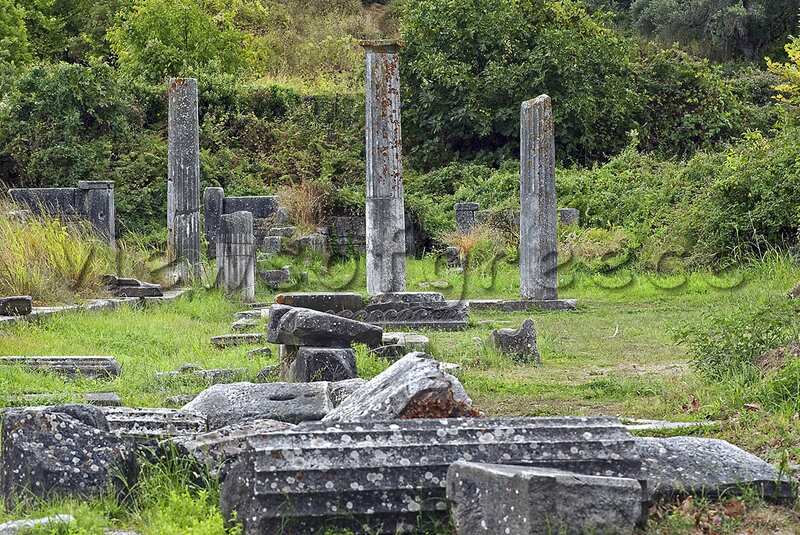 In Limenas, excavations have brought to light ruins of the ancient agora (4th century). With every step you make, you come across to temples and sanctuaries dedicated to Zeus, Artemis, Athena, Dionysus and Poseidon. The most important findings are kept at the Archaeological Museum (+30 25930-22180). 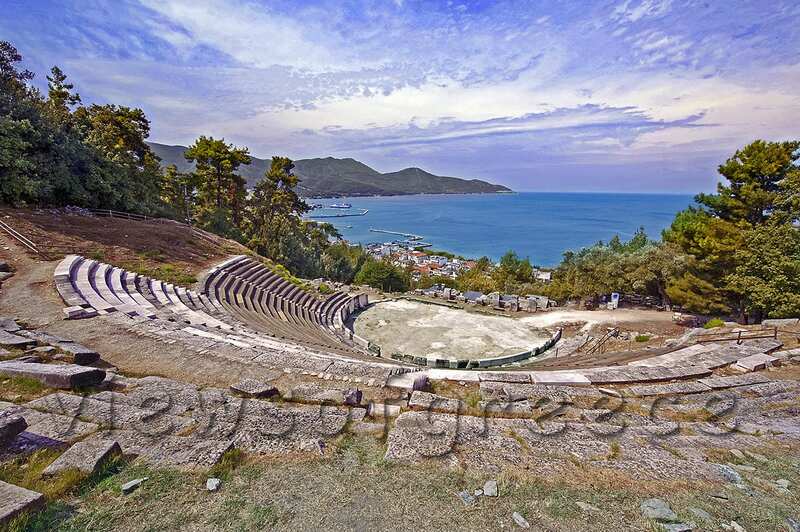 You can reach the ancient theatre (5th cnt) on foot (400 meters), where interesting cultural events are organized every summer. The path then will take you to the ancient Acropolis (municipal info-desk www.thassos.gr). As you leave Limenas with a southwards direction, a road to the left leads to the amazing Makryammos beach, as well as the lush green and inaccesible sandy beaches of Ai Giannis. “Chrysi Ammos”, the port of Potamia and “Skala Panagias”, the port of Panagia on the mountain, are the most popular beaches of the island with excellent infrastructure, lovely sandy seaside, shallow waters and dense vegetation. Limenas, Limenaria, Potos: Starting from Limenas, we take the western road that runs parallel to the coast, connecting the coastal resorts Skala Rahoni, Skala Prinou, Skala Sotiros, Skala Kalirahis, Skala Maries with the capital. After 35 Kilometres we reach Limenaria. Before Skala Maries, we find the tropically coloured Trypiti beach. “Metallia” beach is equally good. 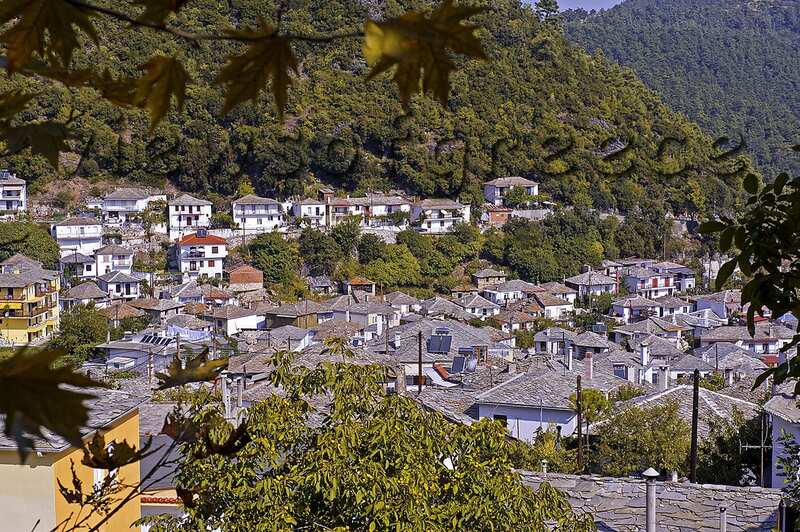 Potos – Theologos – Astris: Two kilometres after Limenaria, we reach Pefkari village with its white rocks and beaches. Next comes the seaside resort of Potos. 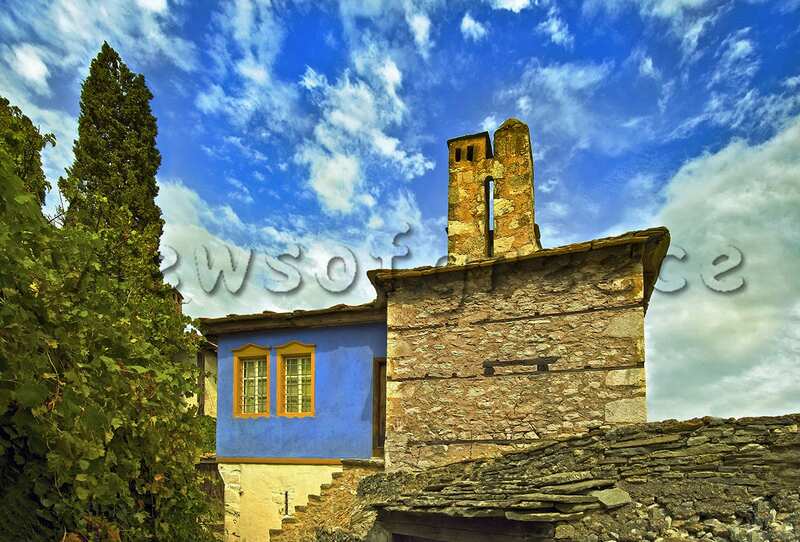 Visiting the traditional mountainous village Theologos(8 km) you will admire some of the most beautiful houses of Macedonia. Continuing south, the beach of Agios Antonios is right after Potos, followed by the popular and fully organized “Psili Ammos”. 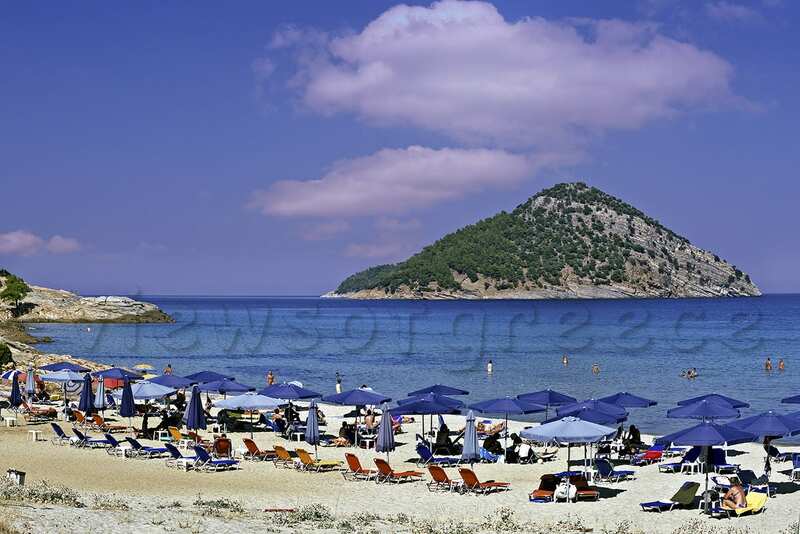 Alyki – Koinyra: The bay of Archangelos with its two attractive beaches, stands out in the south of the island, as well as the frequented sandy beach of Alyki. The ancient submerged quarry can be seen from the edge of the peninsula. Remains of an ancient village are found close to the beach, and ruins of an Early Christian church (5th cnt) are well defined. 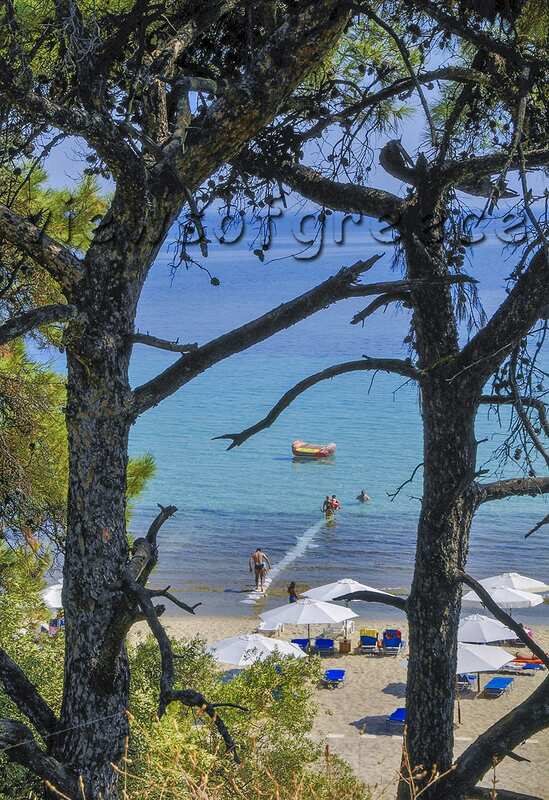 Next stop is Koinyra, with “Paradise” beach, thought to be the best in Thasos. You can find traditional hand-made sweets in Theologos. 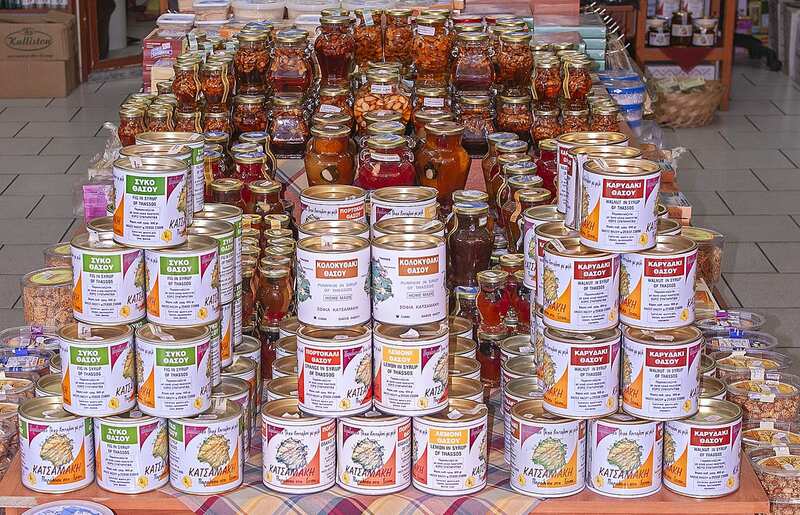 At Limenas’ food outlets, you can buy Thasos olives, local wine (“Limnia” variety) and honey from the Beekeepers’ cooperative.